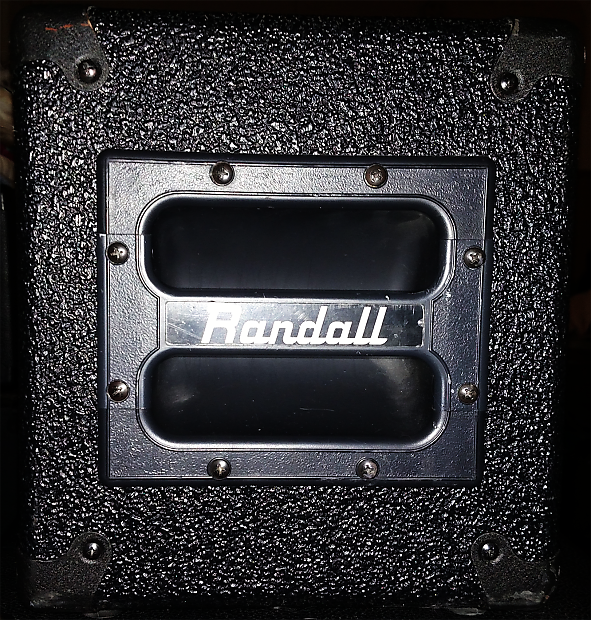 If you are looking at this amp, you very likely know it is the most sought after and reliable Randall head in existence. I will gladly still ship free, however, a US-based shipping address still applies. International buyers commonly use shopandship.com which will give you a US-based address for their location, and then handle your shipping overseas. This will give you the best rates and time to delivery. To answer a very common question: The RG200ES is a Randall Century 200 in every single aspect tonally and in layout. This particular model was the first release before it was officially called a Century 200. What makes this amp unique is the preamp/circuitry is exact same as the Century 200, the power section however is the original sought after RG. The RG200ES also has very slight cosmetic differences such as the knobs and rear layout. Randall changed the name to the Century 200 shortly after it's initial release and took out the RG power section. The RG200ES model is EXTREMELY RARE & next to, if not impossible to find and be in this condition --a true vintage gear collectors dream. You would be hard pressed to find this gem anywhere else, it took me nearly 8 years to get my hands on this amp. Everything works perfectly, zero issues, and it is one loud, mean and in your face amp. 2-Channel, Clean & Lead, with ability to mix both channels at the same time for even more tonal options. It also has built-in reverb, sustain, mid & bright boost. Rear panel has channel & foot switch inputs, two speaker cab outputs, preamp output for silent recording, effects loop, and A.C. outlet for powering other gear. Cosmetically, there are a few small tears and scuffs, but purely cosmetic and minor at that (see photos). 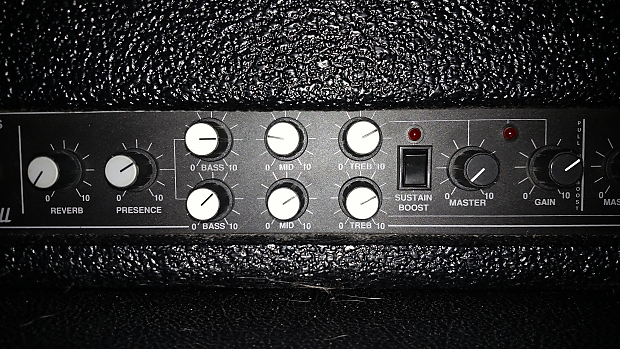 To answer any questions on the speaker outputs: The max amp load is 4ohms with two 8 ohm cabs connected. Speaker jacks are rated at 8 ohms a piece. 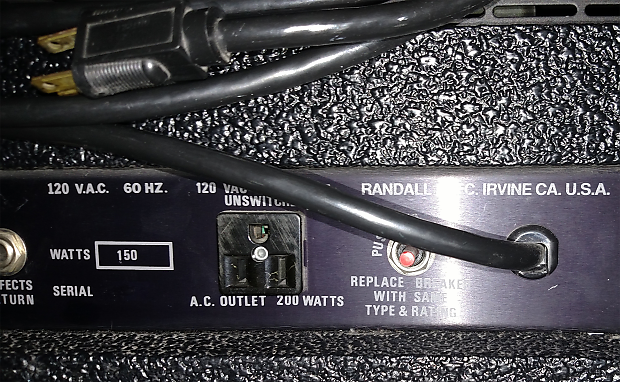 You can use any cab(s) that is/are rated at 8 or 16 ohms, per jack, just like any other amp. 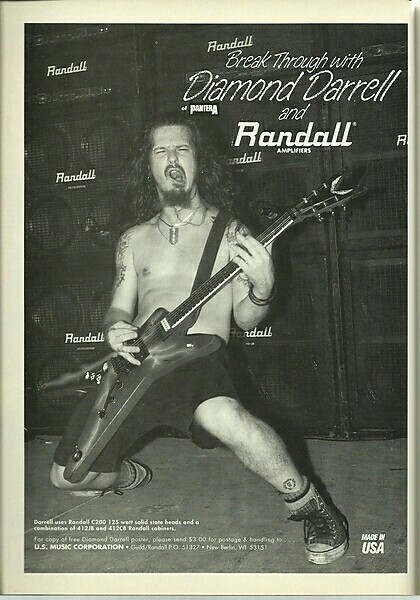 The tones of this amp were the goto grind machine for Dimebag Darrell, it can be heard on Pantera's Vulgar Display of Power & Far Beyond Driven albums. Some songs this amp has been used for off the top are "Walk", "5 Minutes Alone", "Hollow", "I'm Broken". Just have a listen to those albums. Incredible, cutting, and bold tone. Dime officially used the Century 200 amps live, he may have used and recorded with the RG200ES for a very short period of time. Dime used these Century heads for years. A little history, rumor has it that here were only 50 or less of these first production RG200ES amps ever made, and that's it. Even less than the Century 200's. Production for the entire Century series happened only from 1991-1994 with the RG200ES only being made in 1991. Do your own research, but these were made in VERY limited numbers. As for sound, it is quite simply the most aggressive and the loudest amp i have ever heard or experienced in my life. When I first plugged it in to 'test' the amp, I BARELY turned the master volume up - just a little - and hit an open D chord. Not only did every acoustic guitar in the room moan in pain and protest, but since I was standing in front of the cabinet, this amp nearly blew my 'nads halfway down the street. Seriously. I felt like I'd just been kicked in the boys. If you are a metal or rock player & looking for an amp that is part jet engine - then this is absolutely for you. I really don't want to part with an amp this rare, but I am going to put it out there for a limited time-frame only. The asking price is due to the rarity of this amp & also supply and demand. Randall Warhead X2's are close, but not quite as hard to find as this in comparison. I am open to fair offers but will immediately decline low-ballers; serious buyers only - payment not made in 72 hours, the order will be cancelled and relisted. This amp was acquired out of sheer luck and was well kept & maintained over the years I have had it. I hate to part with it because I know I will likely never see another. I do need to thin out my collection and I know someone out there will give this a great home and put it to great use. Grab this gem before someone else does, once its gone, its likely gone forever!